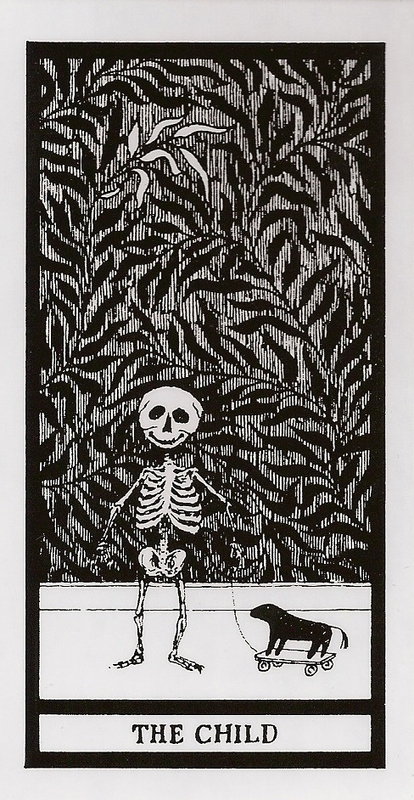 Edward Gorey is an illustrator and artist known for his morbid sense of humor. 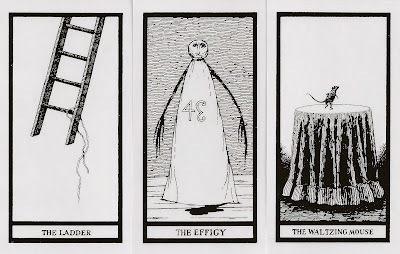 Originally published in Esquire magazine in the sixties, there was an unauthorized version of the deck printed back in 1969, and then an authorized limited edition of 776 copies (750 numbered, and 26 lettered) in 1995. The current 2007 edition, which I have, is unlimited. 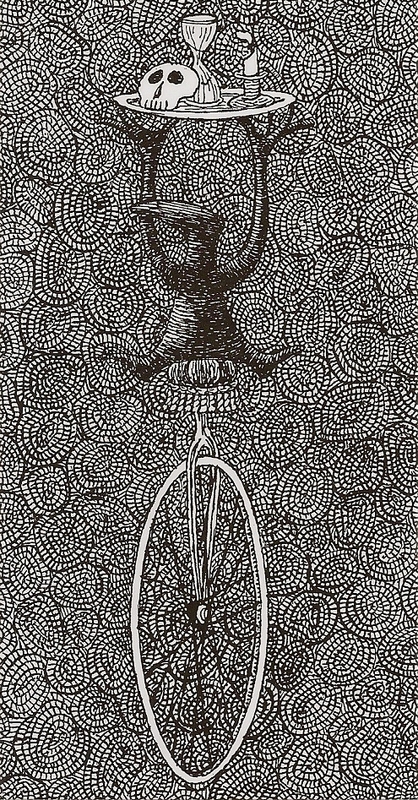 The artwork on the cards and the cover of the booklet are the classic Gorey style of finelydetailed pen-and-ink work. 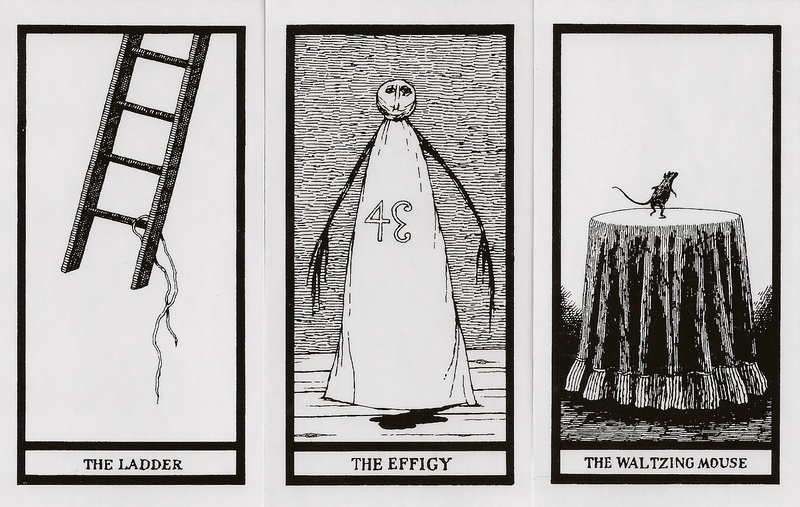 The card backs and the booklet feature a strange little creature known as 'Figbash'. "Interpretation must always depend on the character and circumstances of the person consulting the pack. What might portend a wipe-out for a teenage hotdogger from Yokohama, might warn an octogenarian spinster in Minot, North Dakota, of a fall in the bathtub, though, of course, the results might come to much the same thing. "